Right in the heart of Dresden is what might be the most well-known building of the Baroque period – the Zwinger Palace Dresden. It is a must-see for every visitor and it is pretty in every season. 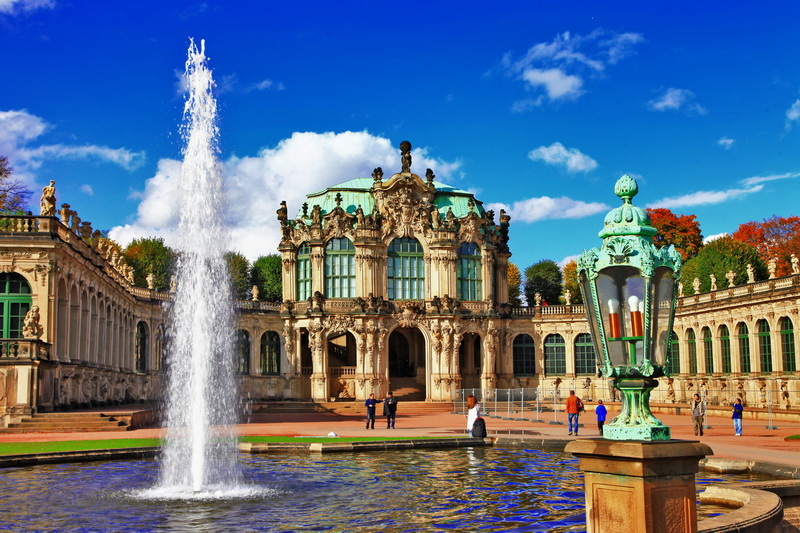 The Zwinger Palace is located near the Elbe in the inner Old Town of Dresden. It is in close proximity to the Semperoper (Opera), the Residenzschloss (Dresden Castle) and the Theaterplatz (Theatre Square). It got its name from an old word for a part of a fortress between the inner and the outer fortification wall, a common design in the medieval. Saxonian King August the Strong had it build in the 18th century by an architect called Matthäus Daniel Pöppelmann and the sculptor Balthasar Permoser. 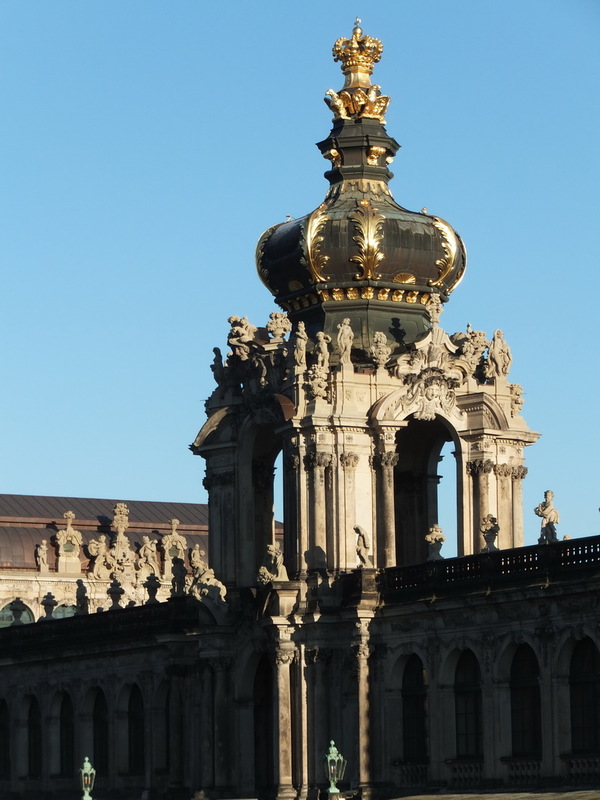 The Zwinger Palace is one of the most impressive buildings from this period. It was never meant to be an official residence, it was built for mere representation. A courtyard with big lawns and water features is framed by four rectangular pavilions and two circular pavilions, the Wall Pavilion and the Glockenspiel Pavilion. They are connected by arcades and a gallery. The main entrance to the complex is through the Kronentor (Crown Gate). Above a richly embellished Attica thrones a bulbous dome. Four eagles carry a replica of the Polish royal crown high up the tower. The Semperhaus forms the northern edge of the complex. This section wasn’t completed until 1855 and was designed in the Italian High Renaissance style. Somewhat hidden away behind the French Pavilion is the Nymphenbad (Nymph Pool), one of the most beautiful Baroque water features. Teardrop shaped embellishments, playful dolphins and nymphs dominate the design. The Zwinger Palace was almost completely destroyed during the Second World War. Reconstruction took fairly long and first parts of the complex were reopened again in 1960. Different museums of the National Art Collection are located in the Zwinger Palace today and can be visited by the public. We came once in Summer and once in December. Sure, it is nicer in summer when everything is lush and green and full of flowers. But also in the darker months, the Zwinger Palace courtyard is immensely impressive. We have not yet been to any of the museums.